If you confirm, you can continue receiving our newsletter with the latest news from your club, and you will continue to have access to exclusive promotions, draws and much more! 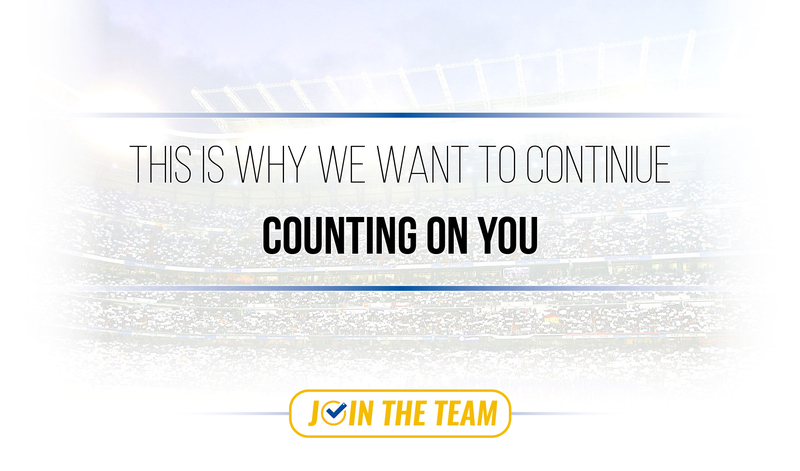 Give us your consent and join the team! The person responsible for the processing of your data is the Real Madrid Football Club with its address at the Santiago Bernabéu Stadium, at Avenida de Concha Espina 1, 28036 Madrid. The data will be treated with the main purposes of user management and provided that you give your consent, for sending personalised commercial communications and communication of data to third parties. You can access, edit and delete your data, or oppose certain uses of the same through email, as well as exercise other rights that are explained in the detailed information on data protection by contacting the email address oposicion@corp.realmadrid.com.You can access the additional information on data protection through the following link. I give my consent for Real Madrid to send me personalised commercial communications, both by ordinary and electronic means, of products related to the club itself. I give my consent for Real Madrid to communicate my information to sponsors or collaborators that can be consulted here in order that they can send me commercial communications. Are you sure you want to stop receiving news from us, miss out on what's going on at the club and stop being part of the team?